The program is designed to improve concentration, mental agility, study habits and reading comprehension. It is interactive, easy to use & what I love the most is that is adapts with your child's level, rating after each session, and performance. They get less frustrated & actually begin to enjoy Math! "Supported by the European Union, the artificial intelligence developed by Smartick adapts to your child's learning style. 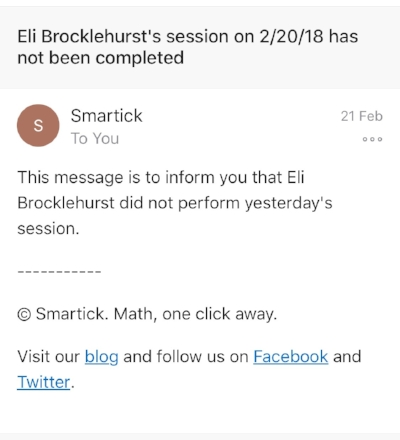 Smartick allows your child to move ahead faster than in school because Smartick does not follow the official curriculum nor state standards." At the end of the session you child is asked to rate the difficulty - teaching them how to evaluate themselves & the session itself. Smartick offers a free trial for 15 days, after which you can continue by choosing a plan - find prices here - read on to get your 25% discount through Our Mummy Life at the end! Smartick reached out to Our Mummy Life at the end of 2017, and offered me (Claire) a free long-period trial for my son, in exchange for this review & experience. I was intrigued as I had been looking for something to explore my older son's mathematical abilities. My son (aged 4.5) started this maths program (daily) in January this year 2018, and I cannot even begin to explain what a difference this has made to his mental agility, concentration & all round mathematical ability. It also teaches him how to stay calm under under 'pressure'. For the first 1-2 weeks we needed to sit with him to go through the steps, but soon after, he was doing it alone & thoroughly enjoyed every minute. At the end of each session, the parent receives an email detailing your child's progress for that session. It breaks down the areas - see example below. You can also access the private 'parent area' in the app, where you can view detailed graphs about their learning progress. An Educational & Parent outreach team is also at your disposal, should you have any questions. To conclude, I highly recommend this program for all families with children aged between 4-14. In-fact, my youngest son is 3.5 & enjoyed doing a 15 day free trial session, so I feel that you could even give it a go for younger kids. Try it now for a free 15 day trial & see how much your kids will enjoy maths! *I was offered an extended free membership by Smartick for my older son to give this a go - in exchange for an honest writeup following his progress.